Whitaker’s primary responsibility in this role involves the preparation, implementation and oversight of the UW’s Affirmative Action Plan. This includes communicating and disseminating the plan, as well as collaborating with other officials around the university who are responsible for advancing the UW’s equity, diversity and equal employment opportunity goals. As a federal contractor, the UW is required to have an affirmative action officer to ensure compliance with Executive Order 11246. The officer develops the written Affirmative Action Plan which helps the UW identify and analyze potential problems in the participation and utilization of women and minorities in the contractor’s workforce, according to the U.S. Department of Labor. Whitaker served in a similar role at Arkansas State for a year, where she led the preparation and monitoring of the university’s Affirmative Action Plan, analyzing reports to identify trends, strengths and opportunities for improvement in recruitment. She also oversaw and coordinated the development of university-wide education, training and outreach programs related to affirmative action, equal opportunity and Title IX. 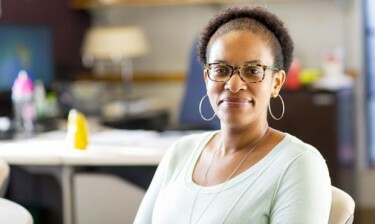 Whitaker earned a bachelor’s degree in African-American Studies and sociology, with a minor in English, at the University of North Carolina, Greensboro, in 2004, and a J.D. at the DePaul University College of Law in 2011.